Changes to your existing Locations may happen, especially if you want to schedule different campaigns or change addresses of the location. 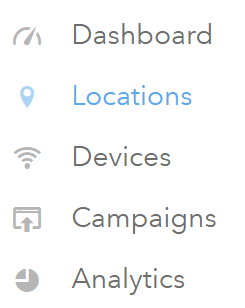 You can all do this in the Settings section of an existing Location. Log in to your account on your MyWiFi platform. Proceed to the Locations section. Search for the desired location you wish to edit. You may use the search function if you have several locations already. Once you find the Location you wish to edit, click on the Settings button. You will be taken to the Settings page. The first tab is the Campaign Assignment. 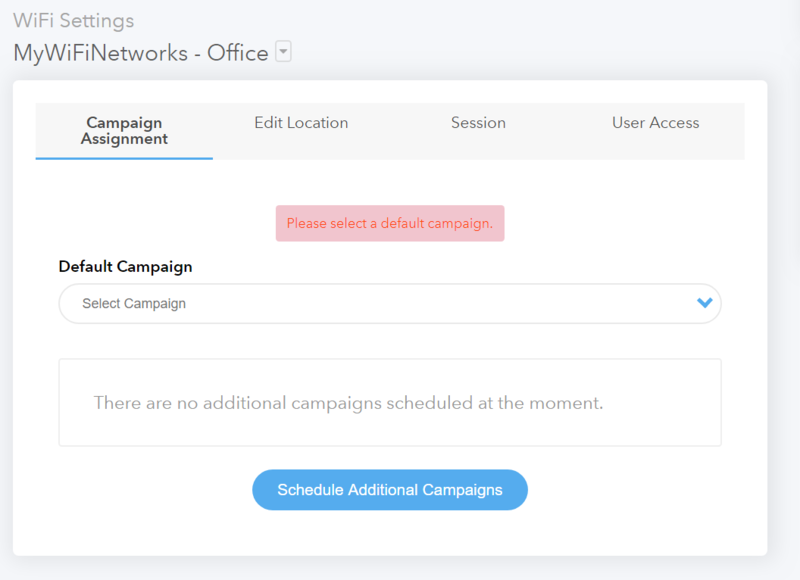 You may assign a Default Campaign here and schedule other campaigns. The next tab is your Location Info. You may edit your location info here such as your address, business type, GDPR compliance, etc. You may switch between the Essentials and Additional info tabs. Click the Update button once you're done editing your location info. The third tab in the Settings is the Session tab. 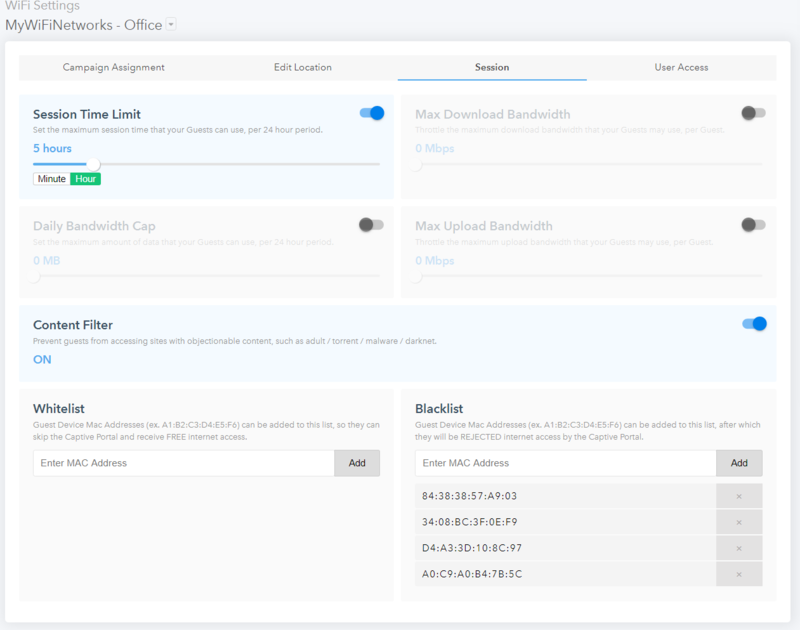 You can edit session time limits, control the bandwidth, whitelist and blacklist devices. Also, you can set if you wish to restrict access to certain sites like adult, torrent, or darknet through the Content Filter option. Finally, User Access tab allows you to add sub-users who will be able to access the specific location.